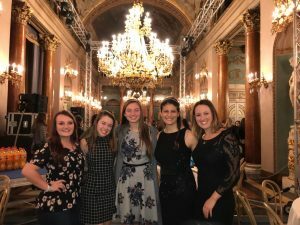 We caught up with SAI Ambassador Danielle, who answered some questions about her time in her bella Italia. 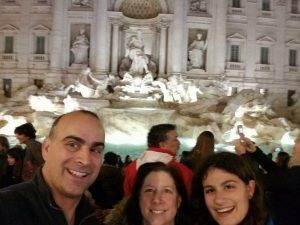 During spring break, I had two options, travel with my friends around Europe or spend the week with my parents exploring Italy and introducing them to the world I fell in love with. Most people would probably go with their friends, but I knew how important seeing Italy was to my father and this was the perfect opportunity for me to share it with him. So, my favorite memory of studying abroad was the sheer look of joy and wonder on my father’s face every time he looked around in a new place. 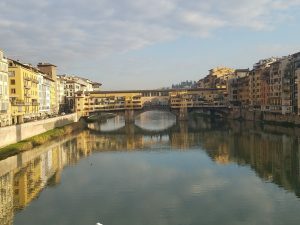 The first time he saw the colosseum, the Trevi fountain, the Duomo, the Tower of Pisa, was priceless and reaffirmed my decision to share my life in Florence with him. Perhaps the most exciting for me was when we went to Naples because while my dad’s father’s family is from Sicily, his mother’s is from Potenza which is in the Naples area. To be in a place that our ancestors might have walked the streets was amazing. We even got to have a tour of underground Naples including an old theater and underground tunnels that had multiple purposes across the years. To see the pride on my parents faces at how fast I was picking up the language and how much I was succeeding as I studied abroad isn’t just my favorite abroad memory, but one of my favorite memories of all time. If you really want to learn the language while abroad there are a few things you can do to help yourself learn it faster. 1. Take a class in the language. Studying the language in a classroom setting provides the background needed for a firm grasp of future concepts and vocabulary. It may seem repetitive, but it is a sure way to lay the ground work. 2. Speak the language whenever there is an opportunity. If you just learned how to order in a restaurant or café then do so whilst visiting food venues. Apply the knowledge you pick up even if you aren’t confident in your pronunciation of that you have the right word. The Italians are great people and love to help those who want to learn and are willing to try their language. 3. Join the Communication club or Family Club through FUA. Both clubs provide you with sources you can listen to and speak with fluent Italian speakers willing to provide insight. 4. Try to do a home stay. While this forces you to learn the language faster, this option isn’t for everyone. Do what you are comfortable with and make the most of your abroad experience, but my advice, the language is a large part of your chosen nation so take the time to try it out, it will enhance your experience. 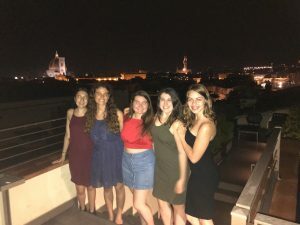 The idea of leaving behind friends, family, your language, and your country to travel and learn abroad in another nation can be terrifying, and yet to study abroad in spite of that fear can improve your self-confidence and prove to be one of the most rewarding experiences of your life. Take a leap of faith. You won’t regret it.